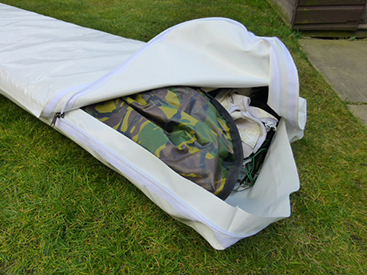 Hang glider bags are made parallel in shape except for gliders which are over 5.6 metres in length Full length heavy duty No 10 YKK zip underneath for easy fitting.There is a zip cover at each end of the bag to help prevent water from entering the zip. One end cover is held closed with velcro to cover the zip slider when closed.The seams at the end are taped and double sewed to help seal against water entering the bag. Each bag is custom made to suit different glider lengths. Yellow "Only some sizes left"
Blue "Custom made to order"
white "Custom made to order"
Now with the option of a water resistant zip. The sun's ultra violet rays are harmful to the sailcloth of your glider. Have a look at your glider bag. If the material has faded with exposure to sunshine, then the sun's ultra violet rays could be passing through your bag and degrading your glider's sailcloth.A heavy duty glider bag is the answer to reducing the damage done by harmful ultra violet rays. Protection from Road dirt and salt. Salt and road dirt can damage your original glider bag. 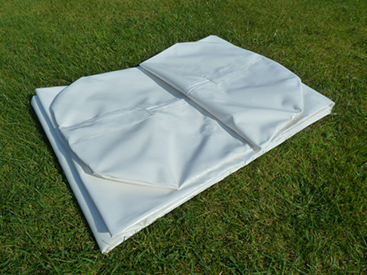 Water resistant glider bags can protect your original glider bag from ageing,which would be beneficial when you come to sell your glider again. Many components of a glider are made from aluminium. When a glider gets wet the metal can corrode and reduce in strength. Leading edge and keel tubes which fit inside each other with a close tolerance are a perfect place for corrosion to hide. With a tube wall thickness of only 1 mm any corrosion on these tubes could lead to structural failure.Every tube to tube connection should be sprayed with a water repellant such as silicone spray to discourage moisture in between the tubes. Also VG ropes can expand when allowed to get wet. They do not return to the original size when they dry out again. The result is a VG which is hard to operate. Under no circumstances should a wet glider be stored in a water resistant bag for a long period of time. The zip is covered by a flap of material which is held closed by velcro as can be seen in the photo. 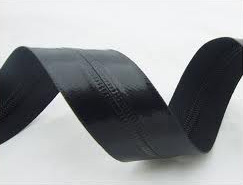 The velcro is full length to cover the zip and hold the flap closed over the zip. The material is durable 600g PVC Colour White. 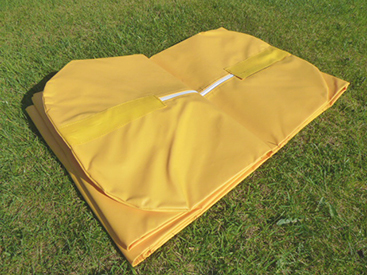 Double rigid wing bags are made box shape in design for easy installation of the glider. The bag can be easily closed on 3 sides with the heavy duty No 10 YKK zip.